An artisan-like design radiates with quiet masculine power in this designer palladium ring. 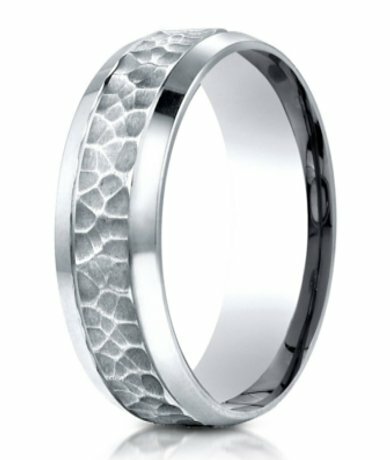 Made of rare and lustrous white metal palladium, a 7.5mm comfort fit band had a unique hammered finish center accentuated by polished beveled edges. Equally suitable as a contemporary wedding band or men's fashion ring.Comfort-fit rings should be ordered 1/2 size smaller!